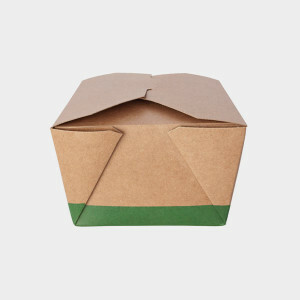 Shiny cardboard boxes can be recycled, while wax coated takeout boxes cannot. To identify a wax coated box, scratch the cardboard and see if the wax comes off. If the wax comes off, throw it out. Cardboard takeout containers cannot be recycled with other cardboard if they are contaminated with food or grease. Food traces can contaminate the recycling process. Alternatively, you can tear off the soiled portions and recycle the rest.